Commerce, MI Family and Cosmetic Dentist, Helping Patients Smile With Confidence! Dr. Sedki is a different kind of dentist. He is not only highly skilled in all aspects of dentistry, but he is also very gentle, patient and caring. He takes the time to provide his patients with the best possible care. Rather than being rushed, you know that he is there to serve all your dental needs. He is well regarded by his patients and dental peers for his excellence in the field of dentistry. Dr. Sedki attended the University of Michigan for his undergraduate degree before receiving his Master’s degree from Wayne State University in Molecular Cell Biology. Dr. Sedki received his Doctoral degree from the University of Detroit Mercy Dental School. 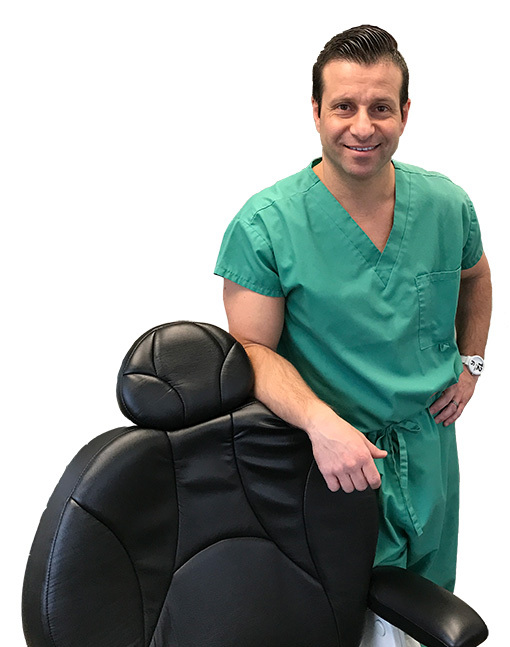 After Graduating Dental school on 2001, Dr. Sedki dedicated himself to provide his patients with a comprehensive approach to oral health. We uphold the highest standards of excellence in dental care, which enables us to provide the best possible quality services our patients deserve. Please take a click around our website to learn more about our full-service dental practice. We are looking forward to earning your trust! My dental staff provides comprehensive treatment, restorative, and cosmetic dentistry. It is our mission to ensure all our patients achieve and maintain optimal oral health. Should a dental emergency occur, we make every effort to see and care for you as soon as possible.